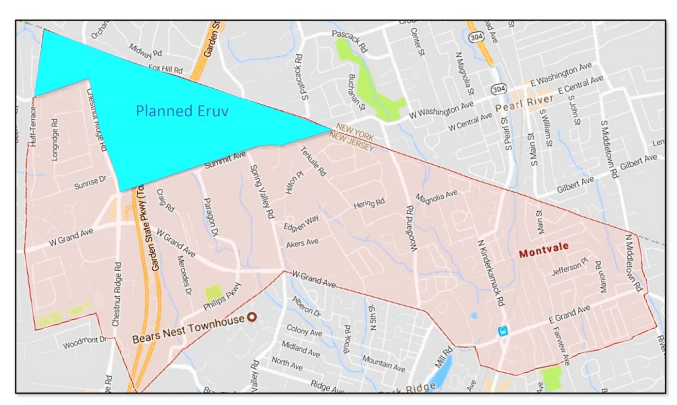 In Mahwah, NJ and Hallandale Beach, FL, the eruv may not have been on the ballot — but those that opposed it throughout last year, faced their respective voters. 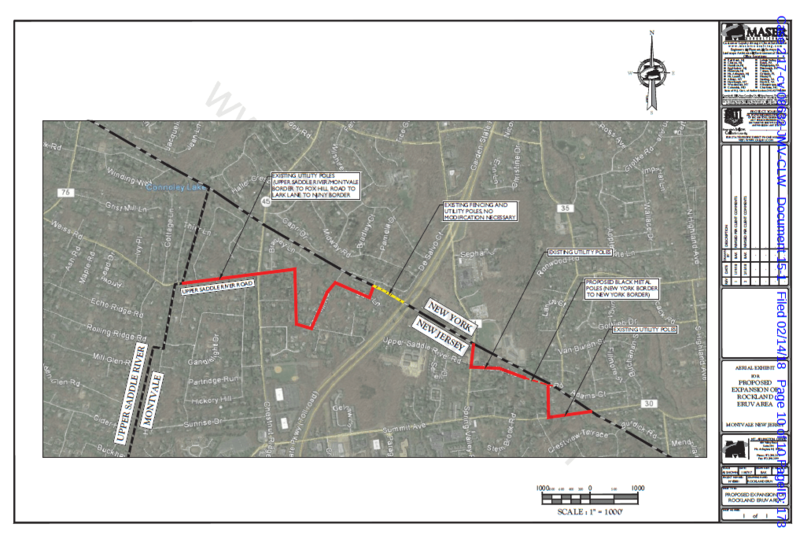 In Mahwah, NJ, Council-President Robert Hermansen, who had consistently promised ordinances that would effectively ban the eruv as well as parks related ordinances to limit Hasidic Jewish visitors to town, was ousted by his constituents. With 58.78% of registered voters coming to the polls, a majority chose other candidates to represent them in the years ahead. 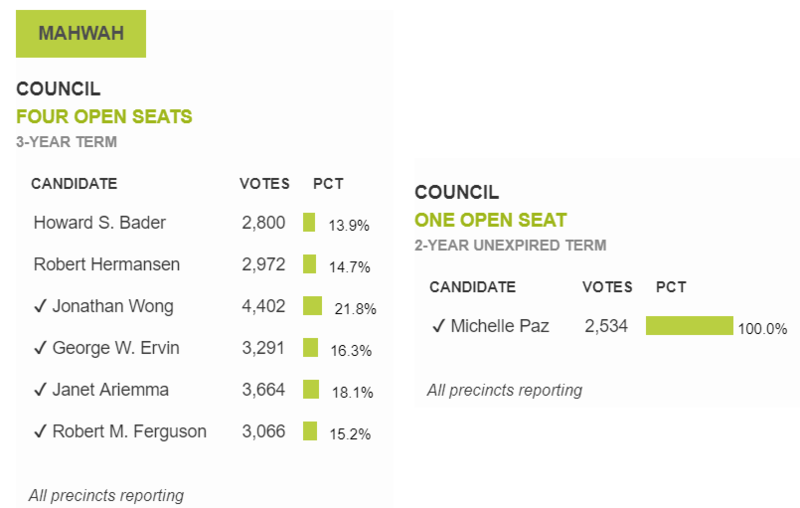 The outgoing council president garnered 2,972 votes (compared with the 4,402 votes by the current vice-president). 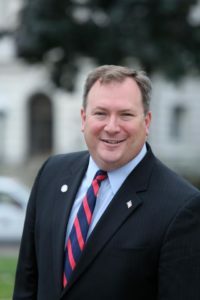 It is encouraging that the residents have sent a clear message that Mr. Hermansen’s tone and demeanor are not appropriate for public office. 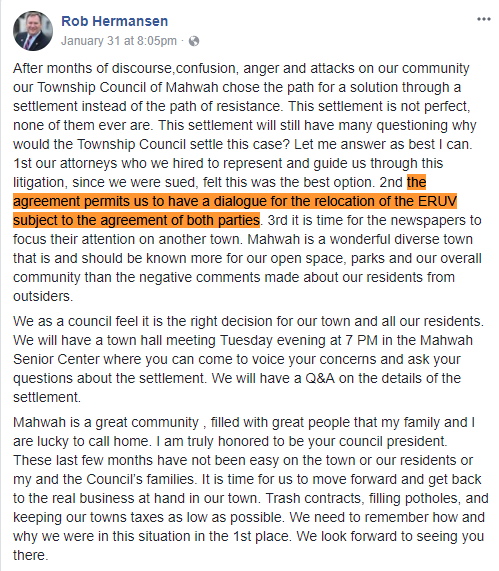 Having attended many meetings in Mahwah, we hope that the newly constituted council is prepared to move forward in a manner that respects opinions from all and the constitutionally protected rights of everyone. For full Mahwah election results, scroll down to the end of the post. In Hallandale Beach, FL, Mayor Keith London, who had previously blocked requests by the Jewish community to reestablish an eruv in town, was ousted in a landslide by Joy Adams, a first-time political candidate and outspoken supporter of the eruv. Congratulations to Mrs. Adams, hopefully this will clear up any roadblocks being faced by sabbath-observant Jews in Hallandale Beach.